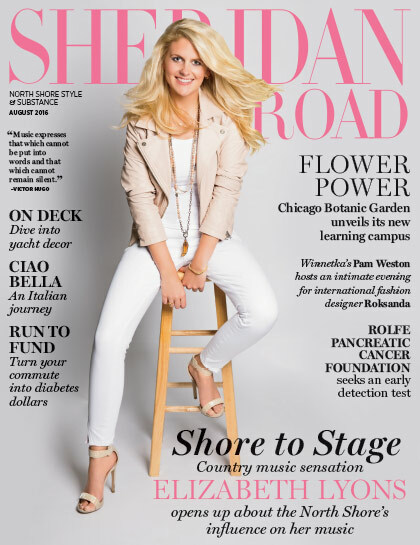 Last time Sheridan Road sat down with Winnetka native and country music starlet Elizabeth Lyons, it was impossible to ignore her high-energy and bustling schedule. As an artist who has been recognized by Macy’s iHeartRadio Rising Star Top 3, sold over almost 100,000 songs independently, and had a #1 iTunes Country Music Video, there is no stopping Lyons. One year later, she has taken that spirit and charged it up a notch. “If you change nothing, nothing changes,” Lyons says, explaining her recent endeavors. The Vanderbilt graduate has taken herself out of Nashville and jumped head first into life in New York City. She is now one of the few female country artists who represent country music in the East Coast hub. Not only has the move meant a career change for Lyons, but also an exciting new lifestyle inspiring her bubbly single, “Champagne,” which was released June 4. Lyons accredits fate for what she calls “the opportunity of a lifetime” in New York City, working directly for the President of Westwood One and EVP of Marketing at Cumulus Media, one of the top radio companies in the world. Balancing her new position while also independently running her music career, Lyons finds herself wearing two hats. Fortunately for Lyons, this is something she’s used to. While she has traded her days of figure skating and musical theater for to-do lists in the office and Skype sessions with songwriters in Nashville at home, Lyons has had multiple roles on her plate ever since she grew up on the North Shore. “My parents always kept me busy when I was growing up and I interned all through college. It’s easy if you love what you do,” Lyons says. For Lyons, summer means preparing for the Lyons Champagne Summer Tour. As Lyons plans to share the stage with country music greats like Blake Shelton, Old Dominion, and Luke Bryan this summer, the tour is guaranteed to be a hit. “There will be new songs which I have been writing, and fans will get to hear them first. My shows are always very upbeat and high energy and I think this is my favorite set list ever,” says Lyons of the approaching tour. North Shore music video or not, we are saying CHEERS to this “Made in the Midwest” country superstar. 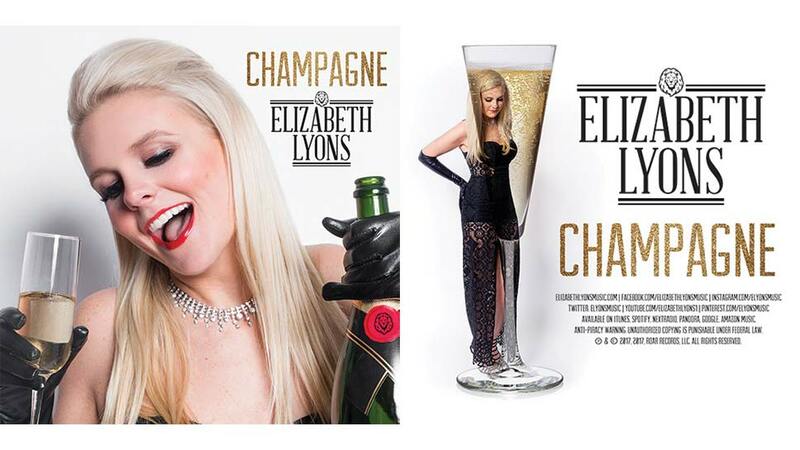 To learn more about Lyon’s upcoming tour dates, music, and news visit: elizabethlyons.bombplates.com.